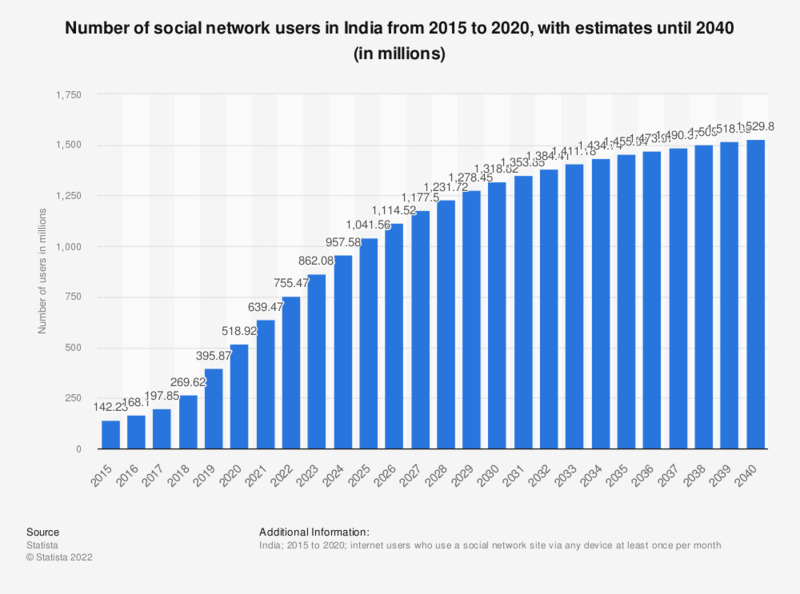 This statistic shows the number of social network users in India from 2015 to 2023. In 2018, it was estimated that there was around 326 million social network users in India, up from close to 168 million in 2016. The most popular social networks in India were YouTube and Facebook, followed by social app WhatsApp. Facebook is projected to reach close to 319 million users in in India by 2021.